Are you tired of fighting a losing battle? 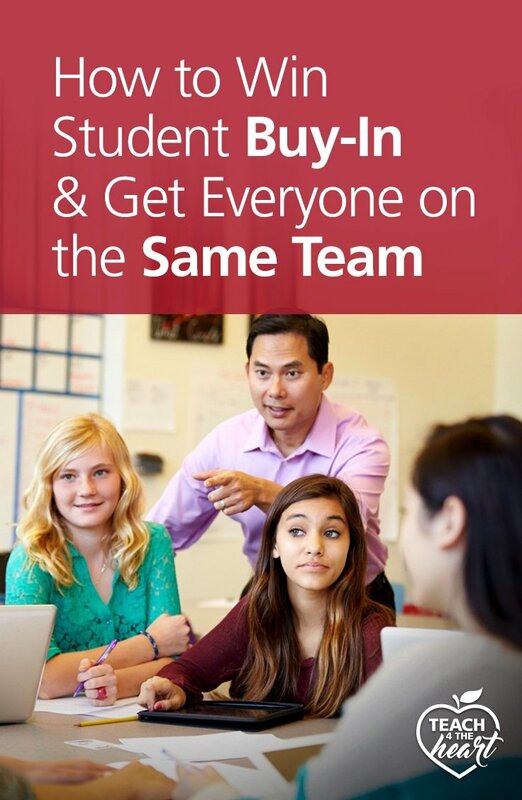 Discover strategies to win students' buy-in and get everyone working together on the same team. Does teaching ever feel like a battle? Maybe even one you’re losing? I remember one class in particular where we were not on the same page. It seemed like every little thing I tried to get them to do, they fought me. Nothing was easy. Everything was a battle. And I was beyond exhausted. Now the main reason we had such a hard time was because I was horrible at classroom management. I had no plan, I made a million mistakes, and things went from bad to worse. Thankfully, some great mentors helped me learn from my mistakes and turn things around – and I share what I learned in Classroom Management 101. Once I got a handle on some basic classroom management strategies, things got a whole lot better. But sometimes it still felt like me versus them. Like I was trying to force them to learn against their will. I mean, it was working okay, but sometimes I wondered if I was missing something – if there were a way to get us on the same team, actually working together to unlock their potential and accomplish great things. Fortunately, there is. But it may just require a new approach. If you want you & your students to work together, you need to start by acknowledging that something has to change. What you’re currently doing may be working to an extent, so we’re not saying you should throw everything out. But you have to be open to new ideas and some important paradigm shifts. In particular, we need to see ourselves as the guide on the side rather than the sage on the stage: helping our students take ownership and responsibility for their own learning rather than keeping the focus on us as the teacher. We explore this concept – and other key mindset shifts – in our online course Beyond Classroom Management, which will help you go beyond simply managing your classroom to truly lead and inspire your students. 2. Build relationships and earn respect. We all want our students to follow our lead, but sometimes we neglect to consider an important question – do our students want to follow us? In order to get their buy-in, we need to simultaneously earn their respect and forge strong relationships. We build relationships in a variety of ways: showing genuine empathy, getting to know them, taking time to talk with them, etc. But at the same time, we also need to earn their respect by establishing strong procedures, creating a conducive learning environment, setting limits we can actually enforce, and handling discipline issues without breaking a sweat – all things we teach you how to do in Beyond Classroom Management. Stale lectures and worksheets full of busywork are not going to get your students excited about learning. No, you’ve got to engage them with challenging, thought-provoking, and intriguing lessons and activities that grab their attention and make them want to learn more. Beyond that, consider flipping your class, adding movement to your classroom, replacing worksheets with engaging activities, incorporating elements of whole brain teaching, and giving students more choices. Encourage students to lead, help them set and reach goals, and use rewards wisely. I wish we had time to go into each of these strategies individually in this post, but we tackle them all one by one in Beyond Classroom Management. You can see how we cover each engagement strategy in the full curriculum here. 4. Teach life and leadership skills. In order to be successful (both at school and at life), students need certain life skills – skills that help them be responsible and independent. Skills that allow them to cooperate with others and work successfully as a group. In past generations, we counted on parents to instill these core skills and character qualities, but we can no longer assume this is taking place. Instead, we must embrace our role in teaching important life and leadership skills. The question is – how? How are we supposed to find time to teach these skills on top of everything else we are doing? The key is not to look at it as one more thing to do but instead find a way to incorporate these skills into what you're already doing. ​The book The Leader in Me provides an excellent framework for teaching and modeling important life and leadership skills in a way that doesn't add to your day but instead elevates everything you're currently doing. We give a practical overview of this approach in our Beyond Classroom Management course. 5. Create a classroom environment where students learn from their mistakes. 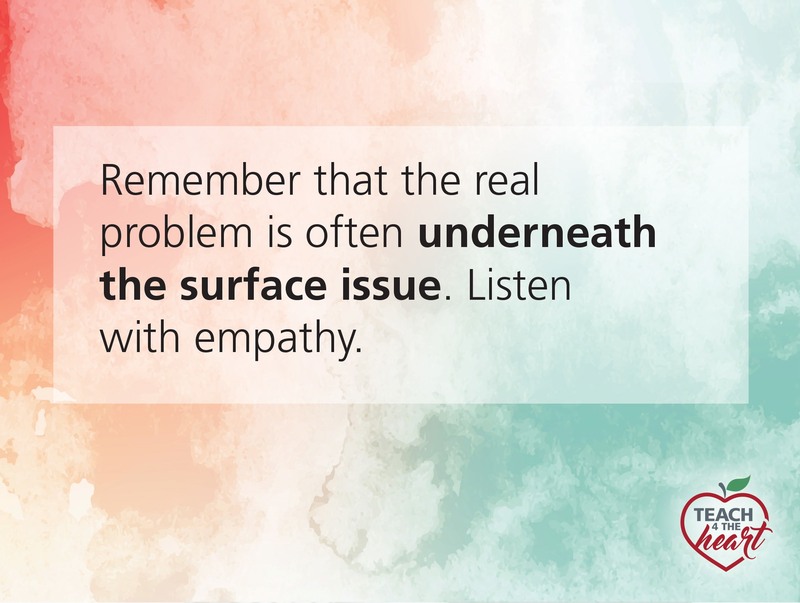 As teachers, we often want to fix all our students’ problems for them – or prevent them from making mistakes in the first place. But the truth is that experience is often the best teacher. As such, we must allow our students to make mistakes and learn from the natural consequences. When we allow natural consequences to be the teacher – not rescuing our students from them but genuinely empathizing with their struggles, we position ourselves on the same team – working together to grow, succeed, and make wise choices. Of course, we can’t stop there. To be successful we also need to avoid arguing at all cost and simply stick to our word instead. We must empower our students by guiding them to solve their own problems, find creative methods to keep difficult students from derailing class, and take a restorative approach to discipline that aims to restore the relationship and repair the harm caused, rather than to simply punish. Once again, we teach all this – and more – inside Beyond Classroom Management. 6. Incorporate regular class meetings. Our goal is to create a classroom culture where everyone is working together and on the same team. To do that, we’ve got to invest time into building and maintaining that culture. One of the simplest and most effective way to do that is through regular class meetings – sometimes referred to as morning meetings. These meetings provide the opportunity to get to know each other, forge individual and class relationships, learn how to work together, and build communication and social skills. Students are not only reviewing academic skills and seeing how they apply to real life, but they’re also learning how to observe and reflect, to think and listen – fundamental skills that are often lacking. You’re building academic, social, and emotional skills – all at the same time. And intentionally creating a community of caring, respectful learners, thus setting the tone for a respectful, engaged learning culture. We go into detail for how to make regular class meetings work in both elementary and secondary in Beyond Classroom Management. You may also find The Morning Meeting Book helpful. 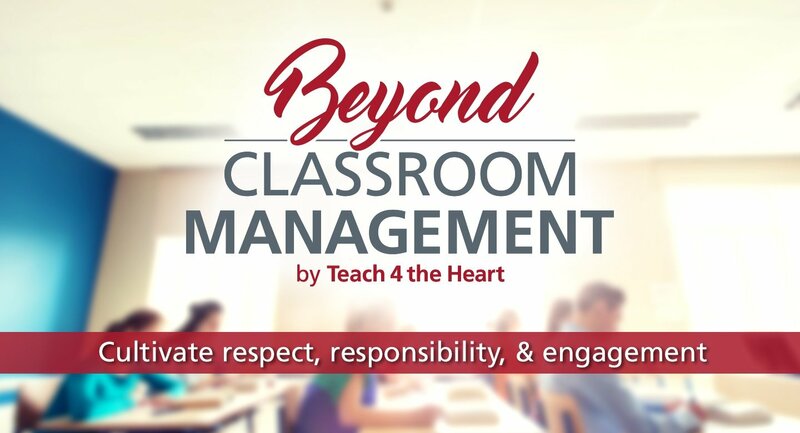 In case you couldn’t tell, we’re really excited about our new Beyond Classroom Management course and can’t wait to see how it will help you end your learning battles and finally get you and your students on the same team – striving together to unleash their potential and accomplish great things. We hope to see you there! Join us in Beyond Classroom Management to get you & your students working together on the same team. I have found this article very useful especially the various ways a teacher can build strong relationship with his/her students like just taking time to talk with them,etc.